The requirements you’ll have to follow in your child custody case, like every law specified by statutes in state law and not by the federal government, depend on where you live. In general, most custody arrangements are permissible in the majority of states, and as long as both parents agree on it, joint custody is easily approved by the courts. 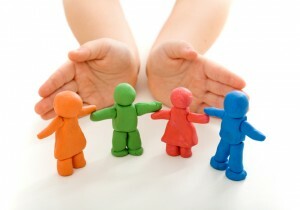 At the core of most state’s guidelines for determining how the parents will split custody of their child, is the court’s intent to pursue the arrangement that serves “the best interests of the child.” In almost all states, any involvement of domestic violence will easily be shown to be against the best interests of the child, and could result in the offending parent’s limited custodial and visitation privileges with the child. 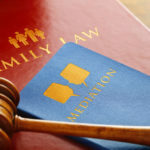 In Connecticut, Colorado, Alabama, Minnesota, Missouri, New Hampshire, and Louisiana, laws are default disposed to arranging joint custody of the child (provided there are no serious conflicts, such as domestic violence or if one partner were unable to take care of their child) as it is believed to be in the natural best interests of the child. 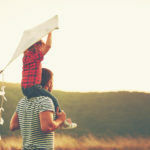 There are a few states that have an entirely unique set of laws that it would be best to be well aware of; many are unique in that they are uniquely limiting in the child custody arrangements they favor. In Ohio, though it is possible for parents to share joint custody of the child if they are able to prove it is in their best interests, courts typically favor awarding sole custody to the parent who has demonstrated the greatest capability for sole custody of the child. West Virginia, possibly the worst state for an equal child custody arrangement, there is no provision which supports joint custody; instead, sole custody is heavily presumed upon any legal separation or divorce. In Utah, it is also common for the spouse who was abandoned to be awarded full custody of the children. Oregon exists contrary to this limiting collection of states; in Oregon, any person who has established a parental relationship with the child prior to the separation of the child’s parents may petition the courts for custody of the child, provided that they can prove this relationship truly does exist and would be in the best interests of the child. If you have further questions about the custody laws in your state, you should contact an experienced family law attorney who can help guide you through the process and secure the best possible outcome for you and your child.